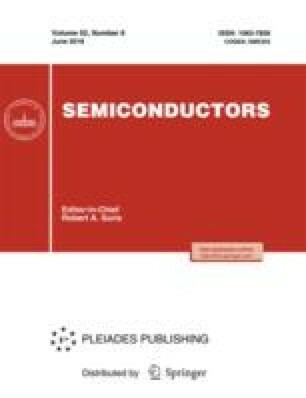 The results of development of the basic structure and technological conditions of growing heterostructures for single- and dual-frequency quantum-cascade lasers are reported. The heterostructure for a dual-frequency quantum-cascade laser includes cascades emitting at wavelengths of 9.6 and 7.6 μm. On the basis of the suggested heterostructure, it is possible to develop a quantum-cascade laser operating at a difference frequency of 8 THz. The heterostructures for the quantum-cascade laser are grown using molecularbeam epitaxy. The methods of X-ray diffraction and emission electron microscopy are used to study the structural properties of the fabricated heterostructures. Good agreement between the specified and realized thicknesses of the epitaxial layers and a high uniformity of the chemical composition and thicknesses of the epitaxial layers over the area of the heterostructure is demonstrated. A stripe-structured quantum-cascade laser is fabricated; its generation at a wavelength of 9.6 μm is demonstrated. Original Russian Text © A.V. Babichev, A.S. Kurochkin, E.C. Kolodeznyi, A.V. Filimonov, A.A. Usikova, V.N. Nevedomsky, A.G. Gladyshev, L.Ya. Karachinsky, I.I. Novikov, A.Yu. Egorov, 2018, published in Fizika i Tekhnika Poluprovodnikov, 2018, Vol. 52, No. 6, pp. 597–602.